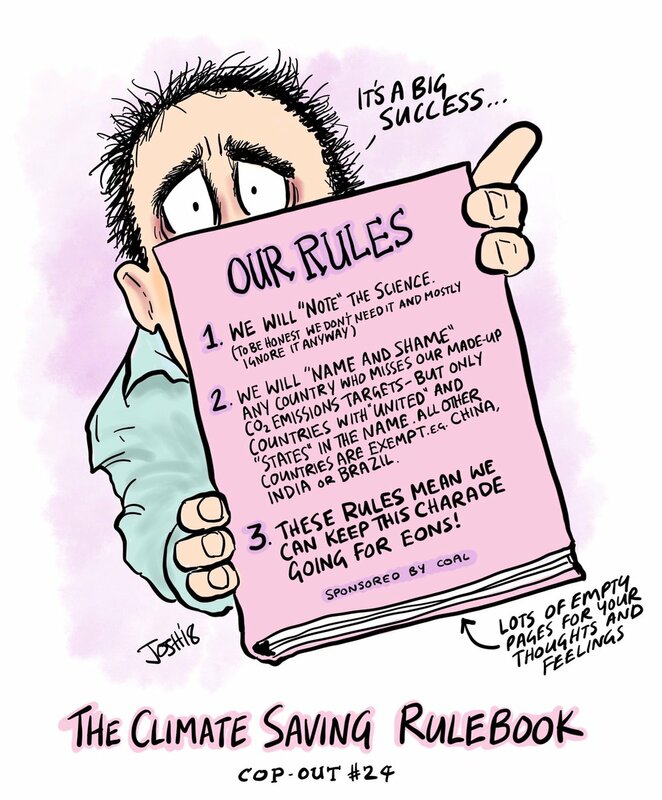 The latest from folk who are locked in an imaginary greenhouse world where humans can alter and somehow control the climate, and who foresee Hollywood-style scenarios if they ‘fail’ to do so. A nebulous deal has been cobbled together, so all 20,000 plus of them can make their fuel-powered ways home. Diplomats from around the world have agreed a major climate deal after two weeks of United Nations talks in Poland, reports The Independent. The COP24 deal, which is aimed at providing firm guidelines for countries on how to transparently report their greenhouse gas emissions and their efforts to reduce them, was confirmed on Saturday evening after talks overran from Friday. “so all 20,000 ” Their own conference blurb said 30,000. 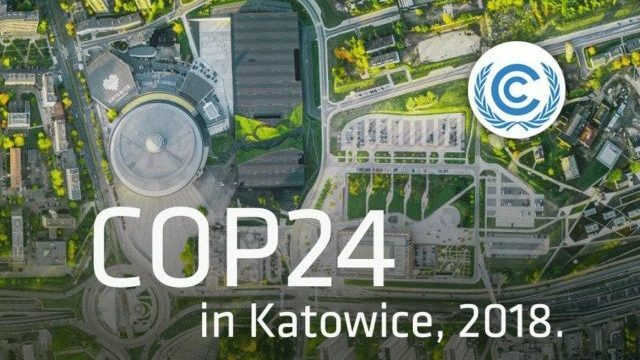 According to the provisional list (pdf) published by the UNFCCC, there is a grand total of 22,771 registered participants at COP24. Negotiators close in on a deal to push toward stronger emissions targets, but many acknowledge that the world’s best efforts would not nearly match the urgency of the problem. A new palace for Mugabe? The LAST THING developing countries need is ‘climate projects.’ ‘Climate projects’ are for the decadent. I am buying a yellow vest. Between the increasingly obvious methods and goal of the anti-Trump mobs here and the deranged demands of the climate obsessed, it is time to be ready to start sharing in a civil way the will of the people. This climate conference industry needs to come to an end. Next year’s conference needs to cancelled. These are wasteful meetings of parasites and grifters and serve absolutely no public good. Male airport to accommodate the worlds largest passenger aircraft. Also a fuel farm containing 45 million litres of fossil fuel! they did 57 years ago. Go figure. Gamecock, there are ‘climate projects’ and there are climate projects. In the latter I would include HELE coal fired power stations to give the people cheap, reliable power for industry (jobs), cooking (health) and general well-being. Those countries that have invested in such power plants are reducing their CO2 footprint just like the US (something that can’t be said for all the virtue signalling of the greens and the UN). There’s nothing like a COP conference to bring out mass displays of ignorance, both real and fake. After 23 COP badgerings and bullying, megatonnes of newsprint wasted over decades on their exaggerated elitist fairy stories we can only imagine what a failure this really is. Plus the glaring absence of US support. ‘Trillions of dollars for nothing’ – Trump. As Trump noted in his withdrawal speech, the so-called ambition mechanism was stacked against the US and a free pass for Asia. As the aforementioned New York Times piece stated, there are 1,200 (twelve hundred) coal plants either under construction or planned in Asia.